This week a bunch of invitations started popping up again for a “Secret Sister” holiday gift exchange. You’ve probably seen the same, or something similar, pop up in yours as well. In case you haven’t realised: It’s a scam. The Better Business Bureau issued a warning against the exchange. 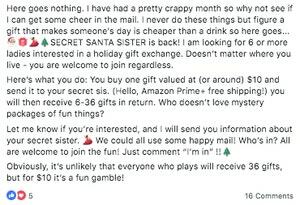 The idea behind the exchange is that you purchase one $15 gift and send it to your “secret sister” and then 6 to 36 gifts are supposed to magically show up on your doorstep in return. While that sounds great, if you really think about that concept for a few minutes then you can probably see it’s likely a bit flawed. The way it works is six different people recruit six of their friends to participate. All 36 people (the six groups of six) send a gift to the same person at the top of a “secret sister” list. 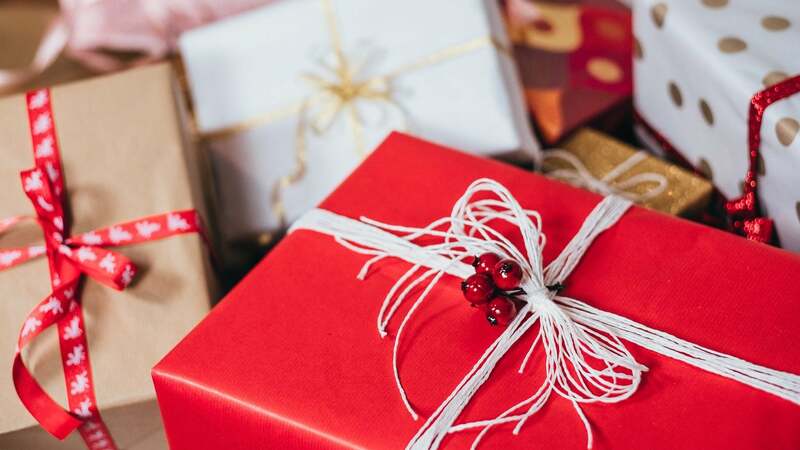 They then recruit six more people who all send a gift to the second person on the list, while adding their name to the bottom of the list that gets passed along to the new recruits. 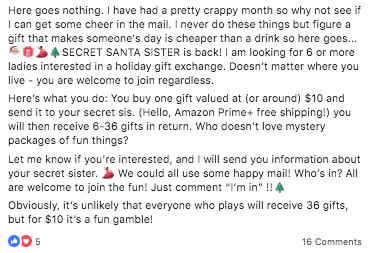 The Better Business Bureau suggests that if you receive an invitation to join a “Secret Sister” or similar exchange this year ignore it and report the post to Facebook by clicking the three dots on the top right side of the post. You could also just link to this post (or the Better Business Bureau’s) in the post’s comments. They’ll get the idea.